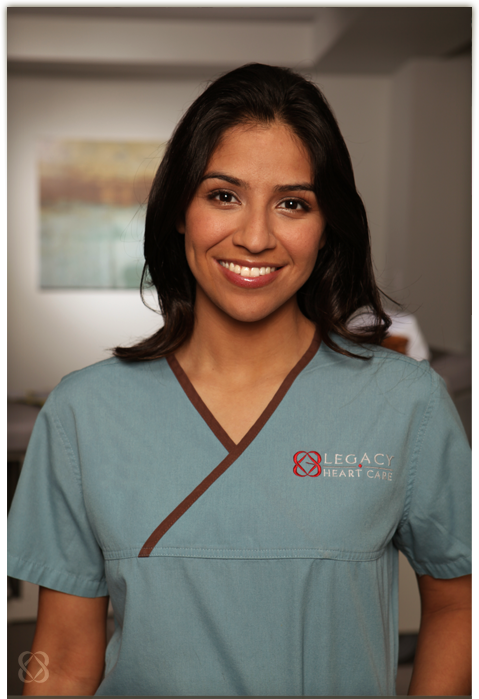 Legacy Heart Care was founded in Fort Worth, Texas and established the first treatment clinic in 2003. From the inception, Legacy functioned as an extension of the cardiologist practice, delivering Enhanced External Counterpulsation (EECP®) on a referral basis. The decision to operate as an independent provider was key to Legacy’s ability to build scale and thus truly transform the treatment experience. It is this mastery in optimizing the intersection between patient experience and exceptional patient outcomes that has set Legacy apart. Over the past decade, Legacy has consistently been recognized nationally for quality. Legacy’s specialization and focused approach to providing EECP®, a non-invasive treatment for patients not readily amenable for further revascularization, is a cornerstone of this quality. Since being founded, Legacy Heart Care has experienced rapid growth, which has enabled the organization to expand into new markets. With multiple locations, Legacy supports a broad base of cardiologists and patient populations, making Legacy the nation’s largest provider of EECP® treatment, delivering more than 25,000 patient treatments annually. Legacy has earned the trust of the cardiology communities it serves and has built a reputation for being a dynamic and effective chronic disease management partner. The story behind Legacy Heart Care is telling. The story begins to explain the company’s meticulous approach to patient care and the commitment to significantly affect every patient in a meaningful and positive way. Legacy began as a response to a personal need of the company’s founder, Michael Gratch. More specifically, Legacy was a response to the progression of his grandfather’s cardiovascular disease. In 2002, Michael’s grandfather underwent his second bypass procedure, which would later fail. Symptoms persisted in the form of shortness of breath, limiting daily activity. With few invasive options available, Michael began to research and seek out other potential treatment possibilities. This investigation led to discussions on the east coast with highly regarded cardiovascular specialists. Through these discussions, Michael happened upon EECP®. Despite the fact that EECP® was utilized at many of the leading academic institutions, along with several hundred hospitals, availability and general knowledge of the treatment was limited. After visiting the Mayo Clinic and other north east providers of EECP®, it became clear that patients derived significant clinical benefit from the program. This was further supported by a depth of clinical studies and publications. The issue with treatment was that the environment and manner in which it was delivered was far from ideal. Michael envisioned a different model and was committed to redefining the delivery system and thus the experience. This began with a simple question. “How could delivery of EECP® be optimized if it were the sole focus of an organization?” Every component of the process, treatment rooms, partnerships, referral patterns, and scale, were reimagined. Legacy Heart Care would complement the cardiology community and be an additional tool in their treatment armamentarium. With the vision set, Legacy Heart Care like so many successful start-ups, began in humble fashion within an eleven foot by thirteen foot room, with 1 treatment unit and 3 patients - one of whom was Michael’s grandfather, Irvin. Today, through tremendous dedication to this vision, Legacy has extended its platform to impact the cardiovascular communities in 7 metropolitan areas - serving more than 7,500 patients. We are humbled by this responsibility and remain keenly focused on our sole purpose - to positively affect each life we touch, every day.